This is an approximation as actual recording times will vary depending on different environments. 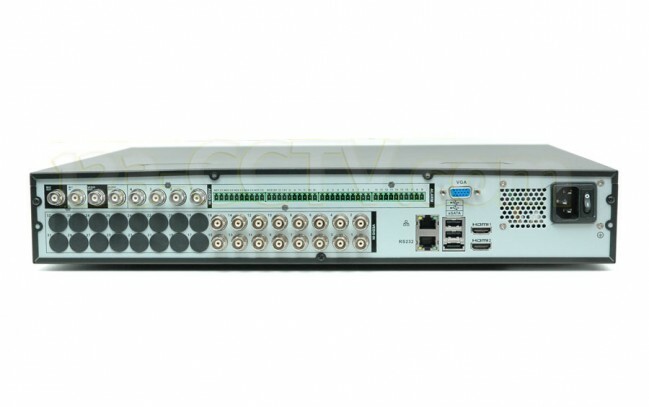 This DVR is the slim version of its bigger brother 16 Channel Tribrid DVR 8SATA. It is identical except for the number of hard drives it can hold, and the number of BNC audio inputs. Save yourself from costly upgrades in the future and purchase this Tribrid DVR to accommodate all the latest camera technologies that are here to stay. Not only can you upgrade to high definition megapixel cameras, you can also keep your older BNC standard definition cameras recording on the same machine. You can record any combination of the above cameras totaling up to 16 cameras, or you can record a total of 16 cameras of the same type. 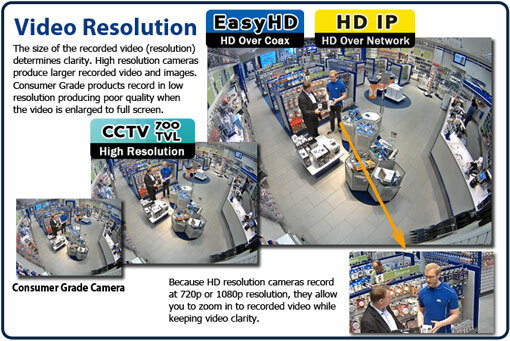 That means you can record even a total of 16 IP cameras or EasyHD cameras in Real Time Full HD 1080P. This DVR has all the same great features as our NVRs and DVRs, and more. It has the latest options as well, like a new GUI interface design, and a secondary HDMI video out to connect a second monitor in Full HD. It also has the latest dual core processor and Linux OS for fast navigation through menus and video playback. Let's not forget the capability to view your cameras over the internet using a smartphone, tablet or computer. Using our free remote view app you can watch your cameras from anywhere in the world! You can also get motion alerts to your phone or tablet using the paid smartphone app which let you click on the motion alert and video from that alert is replayed instantaneously. You can also get free email text alerts. This DVR recorder is the 4 SATA model, meaning it can hold up to 4 SATA hard drives without a DVD burner, or up to 2 SATA hard drives with a DVD burner. You can also back up video to a USB flash drive. Please select the amount of storage space you would like using the drop down menu located above the add to cart button, and we will install them for free when purchased with this unit. This brand new 16 Channel 4SATA Tribrid DVR comes with a 2-year warranty, free tech support and free remote viewing software and apps.